"You can bring any bike .... So long as it's made from steel, has downtube shifters, and is at least 30 years old." 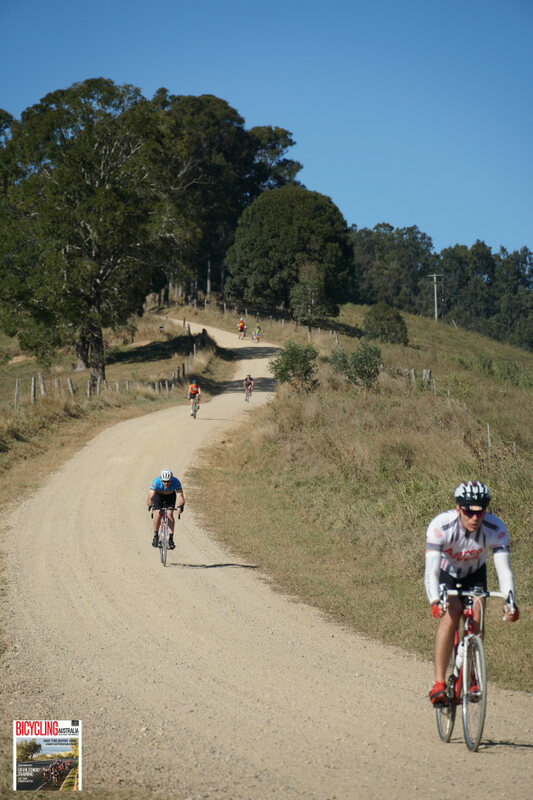 The Noosa Strade Bianche was a challenging ride involving pre-1986 bikes ridden over the region's rolling country roads. That was the general jist of the eighth annual Noosa Strada Bianche, an inspiring event held in the glorious environs on the northern Sunshine Coast on the weekend of August 11 & 12. Growing in popularity since its inception - a simple Sunday morning ride involving a few steel bike enthusiasts way back in 2010 - more than 300 people were involved in this year’s get together of all things retro bikes. 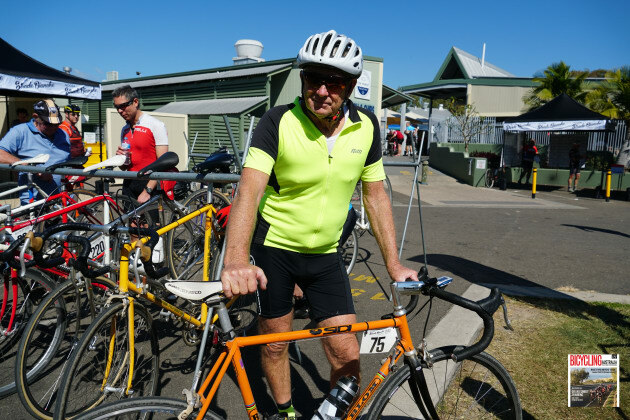 Participants started proceedings with a 35km ‘Piccolo’ ride followed by a Show & Shine on Saturday, then the 85km Medio and 135km Fondo rides on Sunday. 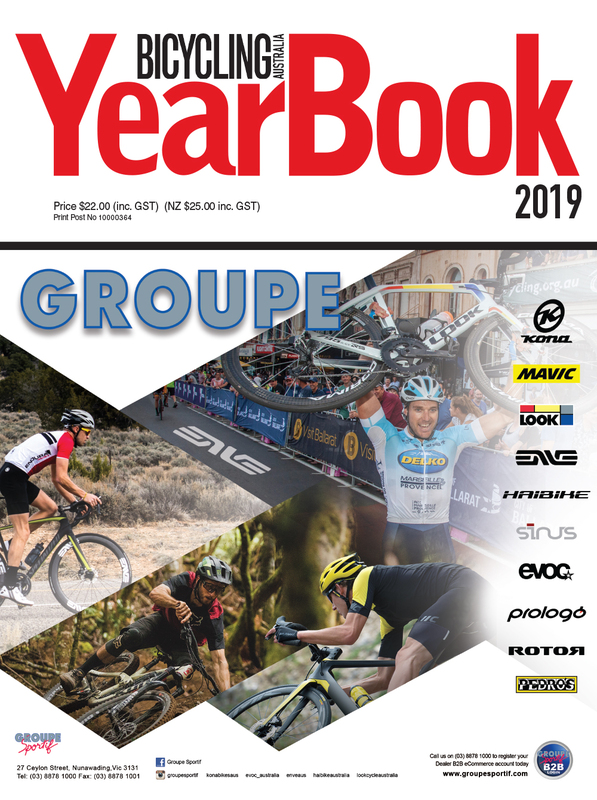 Seamlessly organised by a passionate group of steel bike aficionados, group spokesman Warren Smith explained a little about how the event continues to virtually double in size year after year. 'Best In Show' went to this stunning Colnago Arabesque complete with hand-laid gold leaf trimmings. Explaining that the event is open to any steel-framed bike so long as it’s fitted with downtube shifters, Warren said predominantly the bikes were built up to around 1986. Over the years the Noosa Strade Bianche has attracted enthusiasts from as far afield as Alaska, Canada and Britain as well as all Australian cities, and after the ride on Sunday Warren said the event had a wide reach and strong following. Any bike was welcome - so long as it was made of steel and fitted with downtube or bar-end shifters. One rider who wouldn’t miss the annual celebration of all things steel is 71yo Paul Blom, the respected and well-known frame builder and lifelong cyclist. “I started racing in 1961,” Paul told us after completing the 85km ride in a perfectly respectable time. “I went on to race in Europe through the early 70’s, then raced right up to the year 2000. Apart from that I have been building frames for many years. Now at over 70 I did it on the climbs, but enjoyed the day a lot,” he said. 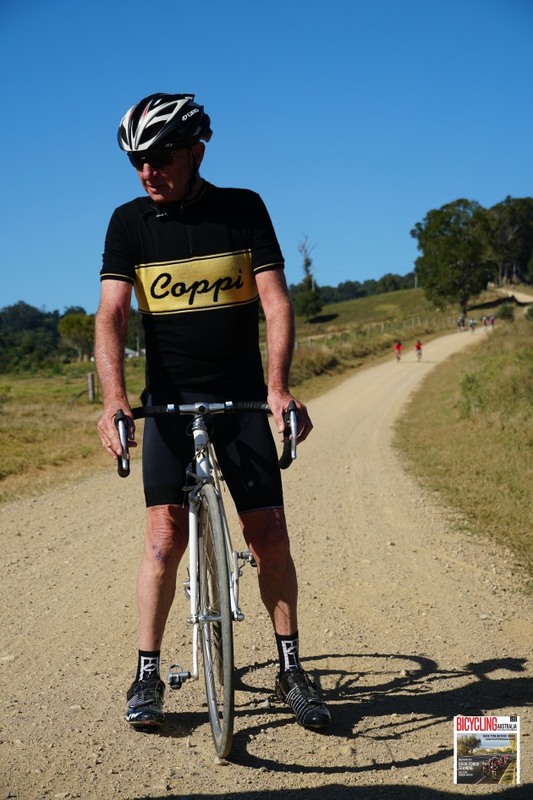 71yo rider Paul Blom was one of the eager enthusiasts to ride the 2018 Noosa Strade Bianche. He built this bike - a BLOM - in 1973. On bike handing and design - and comparing old-school steel to modern-day carbon fiber - Blom said he doesn't see too many major differences in the two. 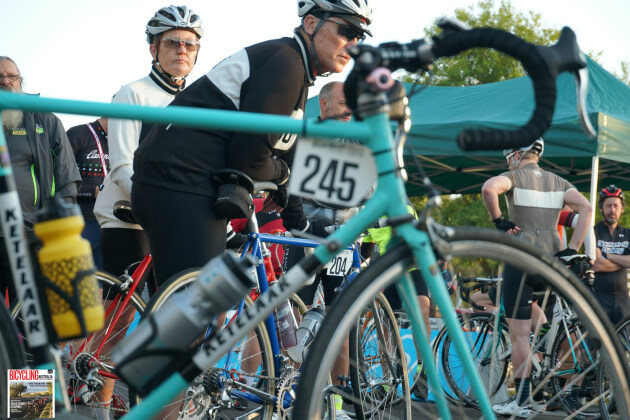 Riders descend the legendary Andersons Road during the 2018 edition of the classic bike event. Having ridden some of the most exotic destinations in the world thanks to his business Ride International Tours, Pat Fitzpatrick flew himself and a family heirloom from Melbourne to Noosa especially for the event. 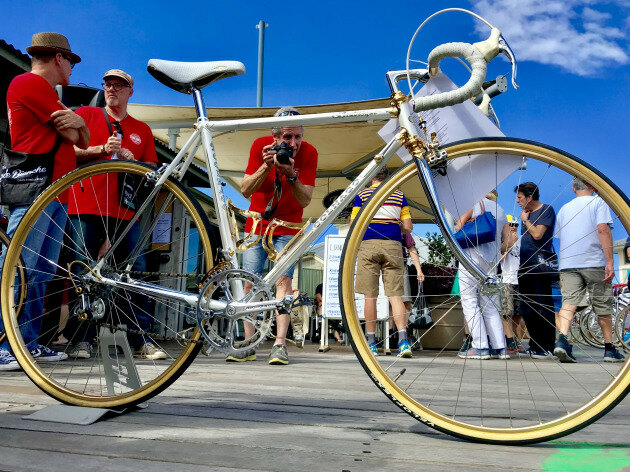 “This was my grandfather's last race bike,” he said, while showing us the classic steel Raleigh he’d just ridden 140km and climbed 2000+ vertical metres aboard. One of the riders takes a quick break at the bottom of the Andersons Road descent. 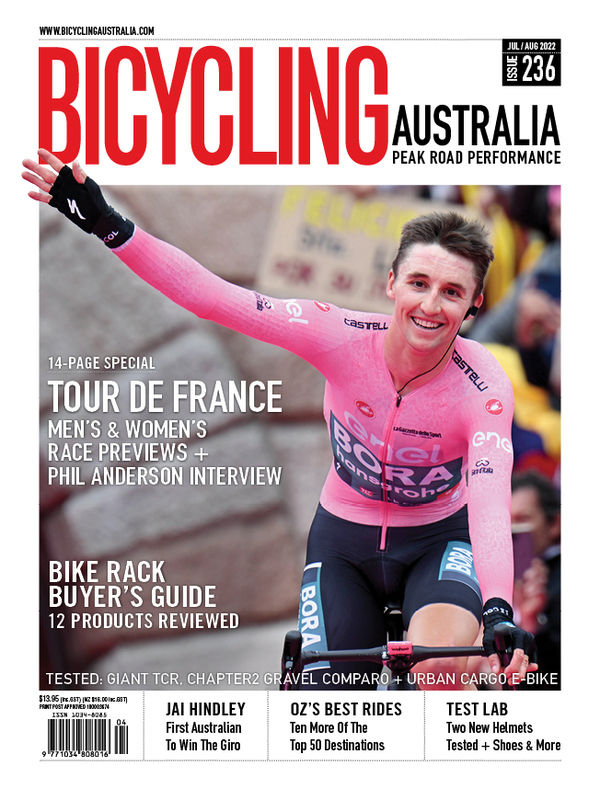 Fresh back from Europe and having ridden some of the world’s most iconic roads, routes and climbs, Pat said the Noosa Strade Bianche was one of the best one-day events he had done. 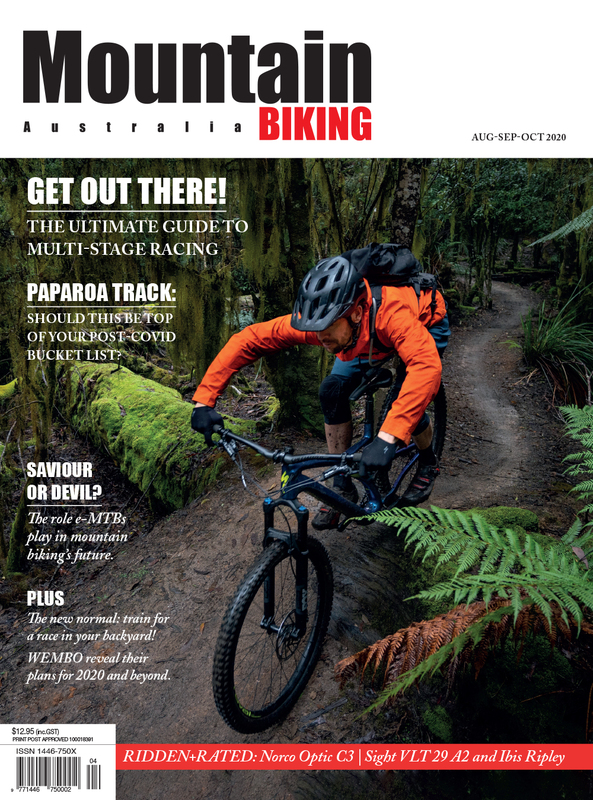 Enjoy reading about or riding the Noosa Strade Bianche? The next Grand Fondo event for Noosa is Bicycling Australia’s very own Noosa Classic on August 26. For further details on the Noosa Strade Bianche you can follow their Facebook page via this link.